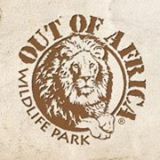 Out of Africa Wildlife Park is to create the ultimate fun filled, animal adventure for all ages, inspired through an amazing living and colorful world of wildlife. In appreciation of our planet’s wild areas and wondrous inhabitants we support and promote conservation awareness and action, practicing impeccable animal care and bringing an opportunity through education and fun for each of us to love and respect all life. 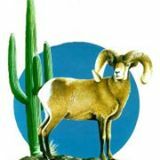 The Arizona Desert Bighorn Sheep Society was formed in 1967 as a single purpose organization dedicated to the management, conservation and population enhancement of bighorn sheep in Arizona. The Society's ultimate goal is to establish viable, self-sustaining bighorn sheep populations throughout all suitable portions of their historic range in the state.